Ingredients: Milk Chocolate (unsweetened chocolate, cocoa butter, and cream solids), Soluble Corn Fiber (GMO free), Peanuts, Sea Salt, Sunflower Lecithin, Monk Fruit Extract, Madagascar Bourbon Vanilla Beans. Contains milk. Processed in a facility that has products containing dairy, tree nuts, and peanuts. Experience chocolate again with ChocZero’s artisanal dark chocolate keto bark that’s low carb and completely sugar free. Our bark uses sea salt, premium cocoa beans, and our exclusive monk fruit fiber blend to create a sweet treat that fits any healthy lifestyle. -Fair-trade premium cocoa beans from South America. -100% stone-ground chocolate for a unique texture. -Sugar free with no sugar alcohols and no artificial sweeteners. Sweetened with our unique monk fruit! 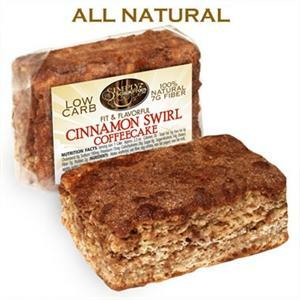 -Low carb: only 2-3g net carbs per ounce depending on the nut or seed! Perfect for those on the keto lifestyle and other low carb diets. -All natural, non-GMO, gluten free. Made proudly in the USA. - Each packages contains 6 individually packaged bars.